Three caravans of migrants, stretched out over 300 miles in Mexico, are all headed to the United States after the third entered Mexico on Nov. 2. 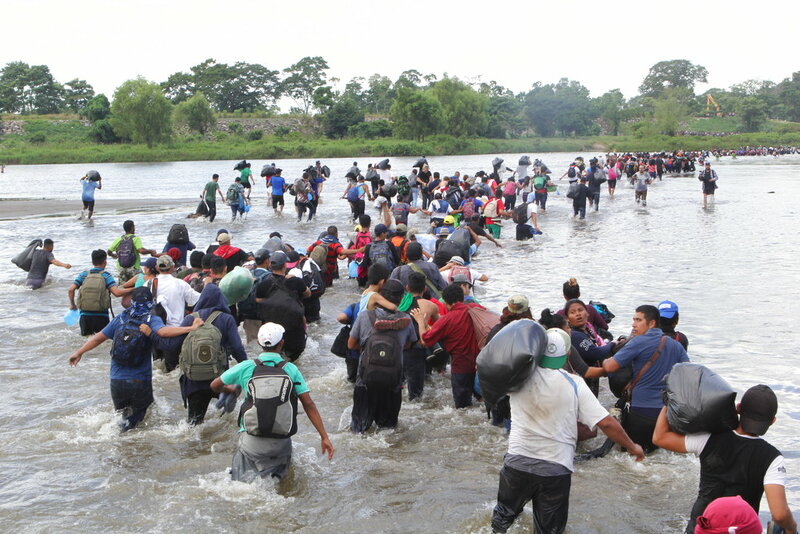 Like the others, the caravan members illegally crossed the Suchiate River from Guatemala after Mexican authorities said people using the regular crossing, a bridge between the countries, would have to show passports and visas as is typical when entering a new country. Federal police officers were on the riverbanks but did not try to stop the migrants, reported The Associated Press. Unlike the first two caravans, most of the estimated 2,000 migrants in the third caravan are from El Salvador. The third migrant caravan left San Salvador on Oct. 26. That group of about 450 migrants chose to enter through the bridge crossing, stay in southern Mexico and apply for asylum while the others moved forward, Juan Bonilla, a spokesman for the caravan, told El Universal. Mexico offered migrants employment, education, and healthcare in late October if they stayed in Chiapas or Oaxaca. Organizers claimed that Mexican authorities wanted to break up the caravan that had vowed to stick together. 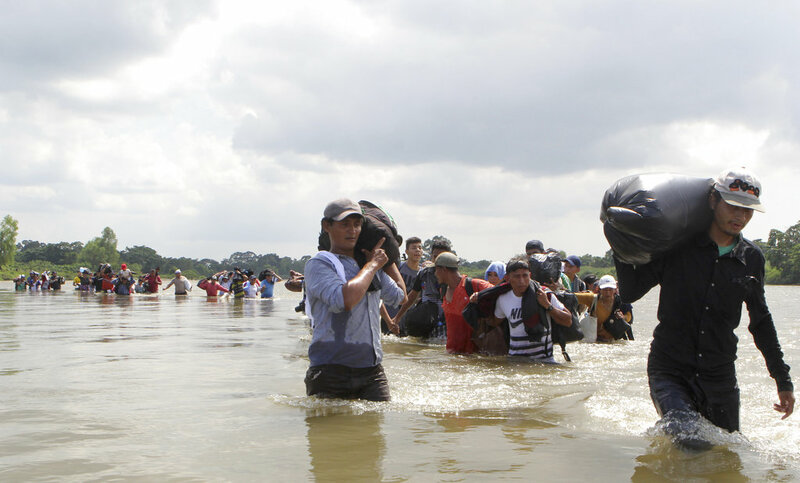 “This is a strategy that the Mexican government is using to take us out in groups and disintegrate the caravan but that will not be possible since we all want to enter together,” Ramon Torres, a spokesperson for the fourth caravan, told El Universal before the caravan crossed the river. Migrants chanted “todos, todos, todos,” or “everyone,” before crossing on Friday. Mexico is now faced with the unprecedented situation of having three caravans stretched out over 300 miles of highways in the southern states of Chiapas and Oaxaca, reported the AP. The first, largest group of mainly Honduran migrants entered Mexico on Oct. 19. It’s unclear how big each caravan is, as estimates have varied depending on the source. The first caravan was said to have peaked at around 8,500 and is now closer to 4,000 as some migrants chose to accept Mexico’s offer for asylum while others requested to be deported back to their home, unable to endure the hard journey north. The second and third caravans are smaller, with each estimated between 1,000 and 2,000 migrants, but because of the close distances between them they could conceivably meet with each other or form one larger caravan in the coming days or weeks. However, the third caravan was considering milling about in southern Mexico for a spell to wait for more migrants that are either traveling through Guatemala or only recently left El Salvador. It was unclear how long the third caravan would linger while waiting for other migrants.